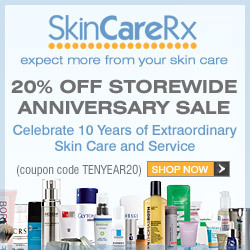 SkinCareRx.com has also partnered with AnneMichele.com and SkinBotanica.com. AnneMichele.com fulfills the demand for luxury, high-end bath, cosmetic, fragrance, and beauty products while SkinBotanica.com is the largest online retailer of natural and organic beauty products. For added convenience, SkinCareRx, AnneMichele.com and SkinBotanica.com share an innovative shopping system, which saves the items in your cart, and allows you to check out on whichever website you prefer.